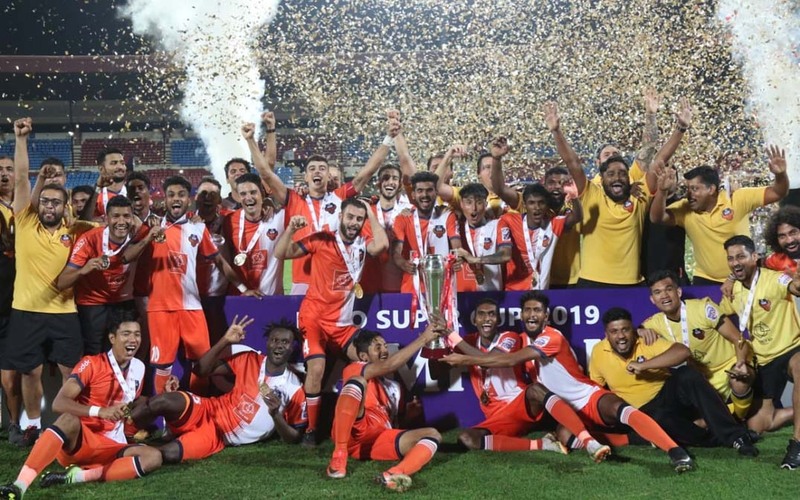 FC Goa emerged as champions of the 2nd Hero Super Cup Football Tournament after they beat Chennaiyin 2-1 in a tense final at Kalinga Stadium here today. FC Goa goalkeeper Mohammad Nawaz made two brilliant saves to be adjudged the Hero of the Match. Ferran Corominas bagged the award as top scorer of the tournament with five goals from four matches. Earlier in the semifinals, Chennaiyin FC beat ATK 2-0, while FC Goa eliminated I-League champions Chennai City FC 3-0. In the last two quarterfinals, Chennaiyin FC came back from a goal down to beat NorthEast United FC 2-1, while FC Goa edged past Jamshedpur FC 4-3. Earlier, hat-trick by Balwant Singh helped ATK of Kolkata overcome Delhi Dynamos 4-3, while in a battle of champions, I-League champions Chennai City FC knocked out ISL victors and defending Super Cup champions Bengaluru FC 2-1. Chennai City FC custodian Mauro Boerchio played stellar role in their win, saving a penalty kick, which was taken by Chhetri, the captain of defending Super Cup champions Bengaluru FC. Boerchio was adjudged Hero of the Match. The second edition of the Hero Super Cup, the main club knockout football tournament of India, however, ran into rough weather with stands remaining empty and most of the I-League clubs staying away, protesting against apathetic attituted shown by All India Football Federation. Out of four qualifying matches, three did not take place as Minerva Punjab, Gokulam Kerala and Aizawl FC failed to turn up. The trend continued at the knock-out stage as Kolkata giants Quess East Bengal and Mohun Bagan also withdrew from respective pre-quarterfinal matches against Delhi Dynamos and defending champions JSW Bengaluru FC. Similarly, Churchill Brothers FC and Neroca FC did not turn up to play their pre-quarterfinal matches against Jamshedpur FC and North East United FC respectively. 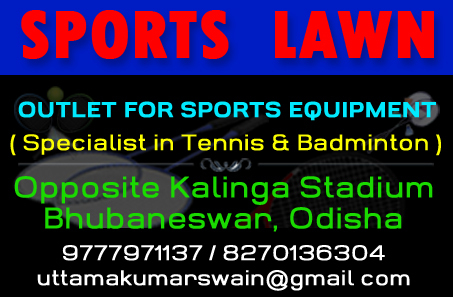 Because of withdrawals by I-League clubs four out of eight pre-quarterfinals did not or would not take place. Of the remaining four, Chennaiyin FC, FC Goa, Chennai City FC and ATK FC won against against Mumbai City FC, Indian Arrows, FC Pune City and Real Kashmir FC respectively to book berths in the quarterfinals. On the otherhand, Delhi Dynamos, Bengaluru FC, Jamshedpur FC and North East United FC progressed to the last-eight stage, getting byes against respective opponents. March 29 (PQF): Chennaiyin FC (CK Vineeth 42, Jeje Lalpekhlua 43) beat Mumbai City FC 2-0. March 30 (PQF): FC Goa (Deepak Tangri 10-OG, Ferran Corominas 18-P, Hugo Boumous 60) beat Indian Arrows 3-0. March 30 (PQF): Delhi Dynamos FC got bye as their opponents Quess East Bengal failed to turn up. March 31 (PQF): JSW Bengaluru FC got bye against Mohun Bagan, who did not turn up. March 31 (PQF): Chennai City FC (Pedro Manzi 35’,39’,62’-P, Sandro Rodriguez 75’) beat FC Pune City (Marcelo Leite Pereira 43’, Marko Stankovic 57’-P) 4-2. April 1 (PQF): ATK (Balwant Singh 25’, Manuel Lanzarote 79’, Everton Santos 83’) beat Real Kashmir FC (Mason Robertson 31’) 4-2. MoM: Manuel Lanzarote. April 4 (QF-1): Chennai City FC (Nestor Gordillo 15’, Pedro Manzi 55’) beat Bengaluru FC (Sunil Chhetri 65’) 4-2. MoM: Mauro Boerchio. April 5 (QF-2): Delhi Dynamos FRC (Mohammed Sajid Dhot 15’, Daniel Lalhlimpuia 35’, Nandhakumar Sekar 72’) lost to ATK (Balwant Singh 23’,34’,51’, Manuel Lanzarote 27’) 2-4. MoM: Balwant Singh. April 6 (QF-3): FC Goa (Eduardo Bedia 23’, Pablo Morgado 45+1’-OG, Seriton Fernandes 64, Ferran Corominas 73’) beat Jamshedpur FC (Pablo Morgado 69’, Carlos Calvo, 83’-P, Sergio Cindoncha 77’) 4-3. MoM: Carlos Calvo. April 7 (QF-4): North East United FC (Rowllin Borges 9’) lost to Chennaiyin FC (Mailson Alves 33’, Anirudh Thapa 40’) 1-2. MoM: Anirudh Thapa. April 9 (SF-1): FC Goa (Ferran Corominas 26’-P, 35’; Brandon Fernandes 69’) beat Chennai City FC 3-0. MoM: Savious Gama (FC Goa). April 10 (SF-2): Chennaiyin FC (CK Vineeth 50’, Anirudh Thapa 58’) beat ATK 2-0. MoM: Anirudh Thapa. April 13 (Final): FC Goa (Ferran Corominas 51’, Brandon Fernandes 64’) beat Chennaiyin FC (Raphael Augusto 54’) 2-1. MoM: Mohammad Nawaz (FC Goa). PHOTO: Players of FG Goa celebrate after emerging Hero Super Cup champions in Bhubaneswar on 13th April, 2019.